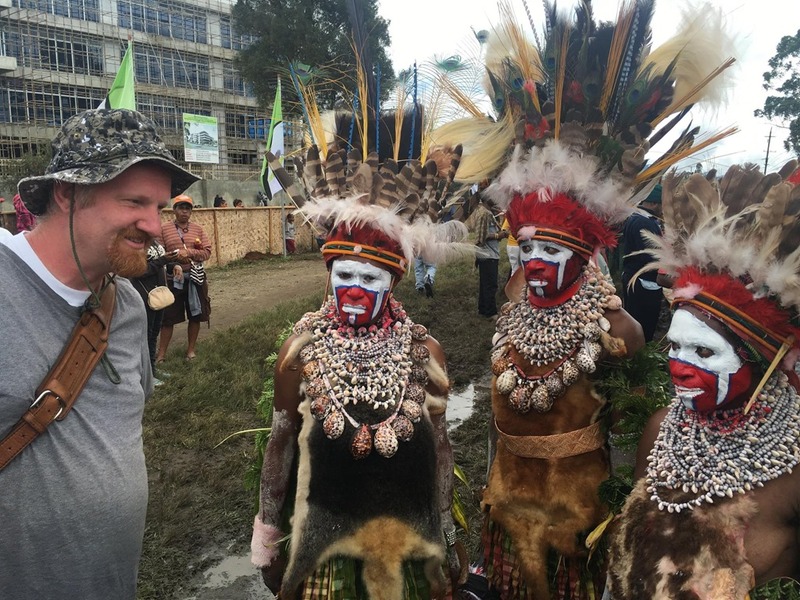 Tribal Adventures in Papua New Guinea – Traveling Epic! 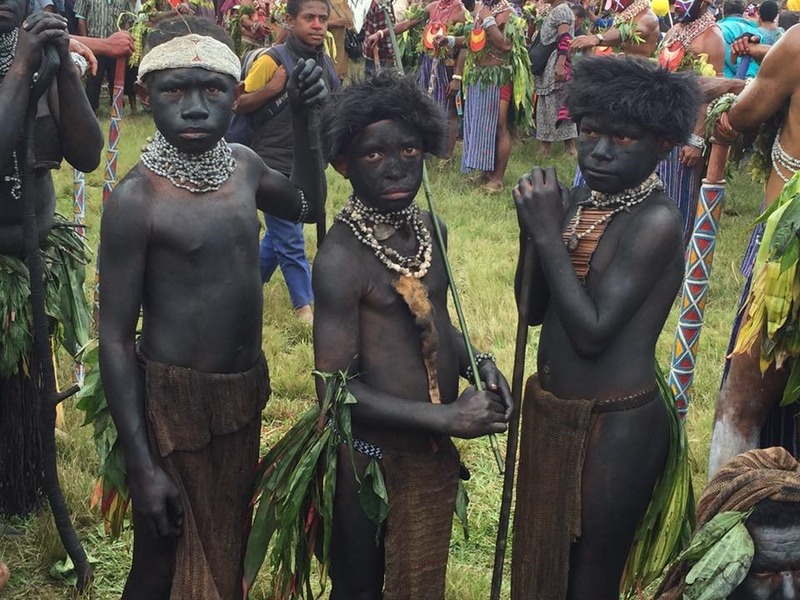 The tribal chief would explain to us that when he was a boy he was wandering through the forest and he and the other boys heard a sound. Large bats up in the sky. They were afraid. This was first contact. What an incredible story to hear how their entire tribe would be transformed with World War II. War planes would later land and change their lands forever adding roads, infrastructure, schools, hospitals, and more. 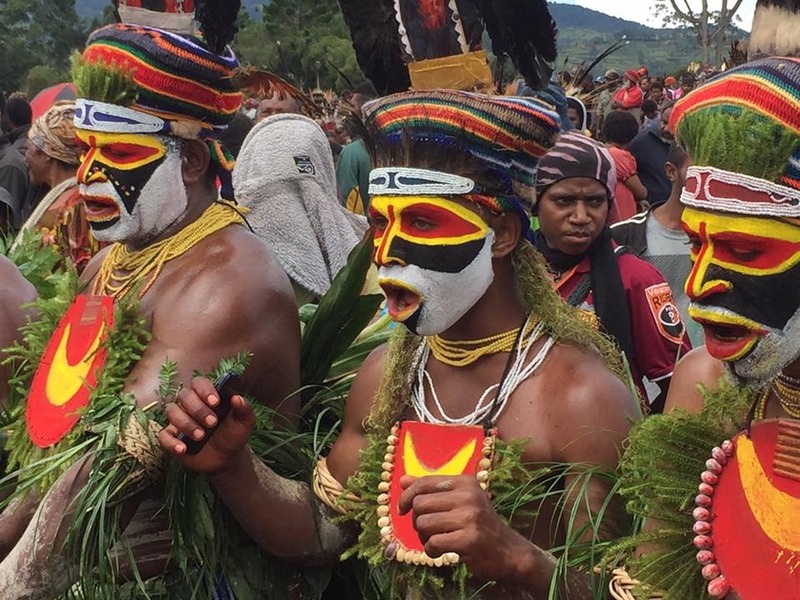 Papua New Guinea has an ancient and very modern history. They hold onto tradition and have a rich culture which provides an insight into the past I haven’t seen elsewhere to such depth. 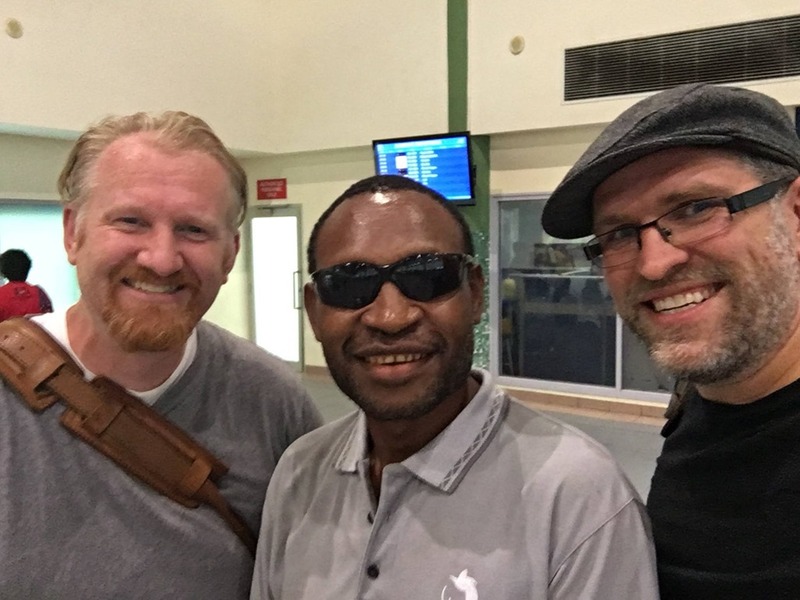 I have lived with tribes in Mali, Swaziland, and Fiji and LOVE the opportunity to connect with these tribes on their terms. All of the photos and videos you see linked here are mine captured during my trip. Enjoy, but if you want a copy of any of these let me know, I have higher res ones. 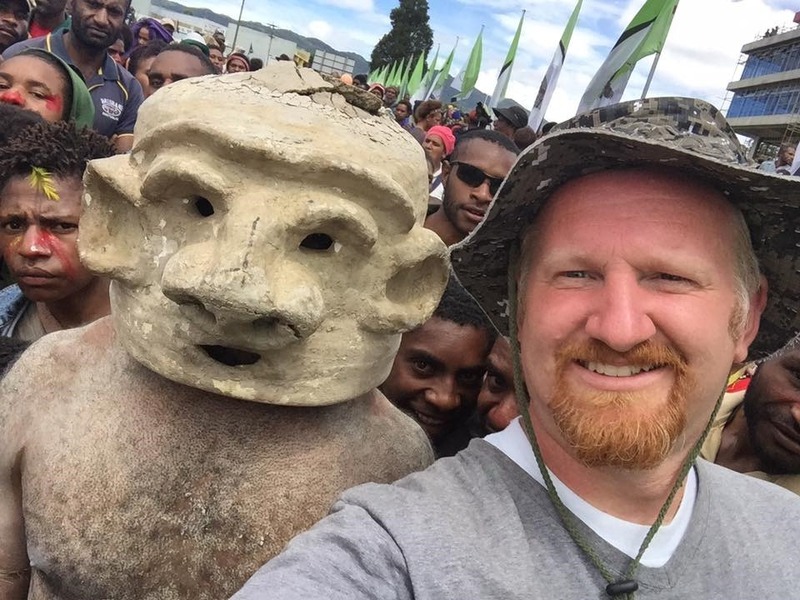 In addition, I created a number of fun short videos you can see in a single playlist Joel Oleson Travel Youtube Channel Papua New Guinea Tribal Playlist and visit these videos be sure to like and subscribe! It started with a friend of a friend on Facebook, named Felix. I explained to him I wanted to have a true tribal experience and he replied quickly saying we could visit his tribe in the hills. He was an Exchange Administrator who had even done SharePoint in the capital. He had a good job. We had arranged to meet Felix at the airport and continue on. He said he wasn’t able to get off work, but that his brother Saki would be there. Saki has been out of work, and had ample time to take us around. His english was very good and he was very well educated. 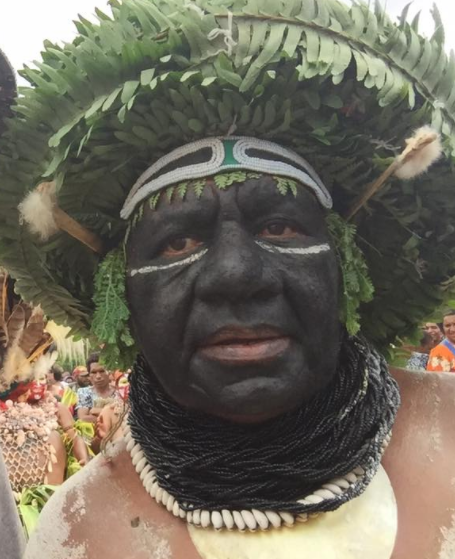 Come to find out, Felix and Saki’s dad is the tribal chief. 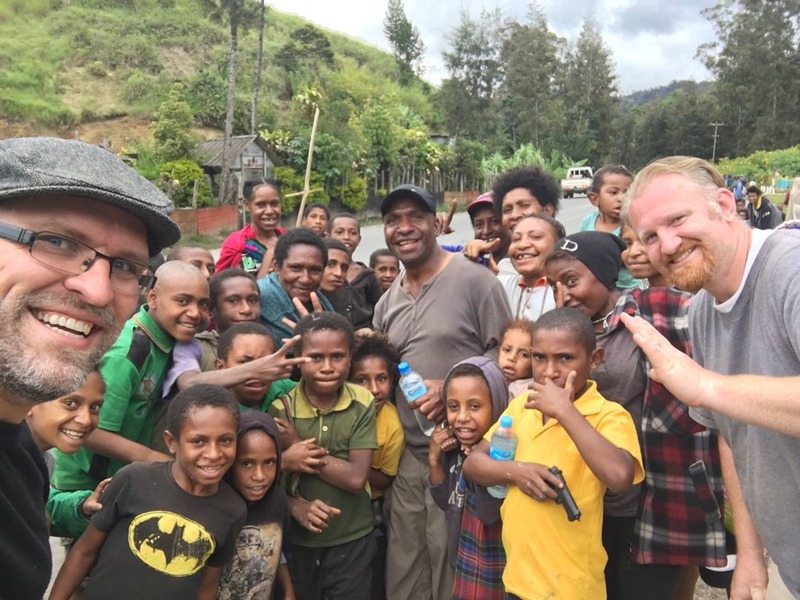 When we arrived at the village, the villagers surrounded our van and cheered. It was an incredible feeling. 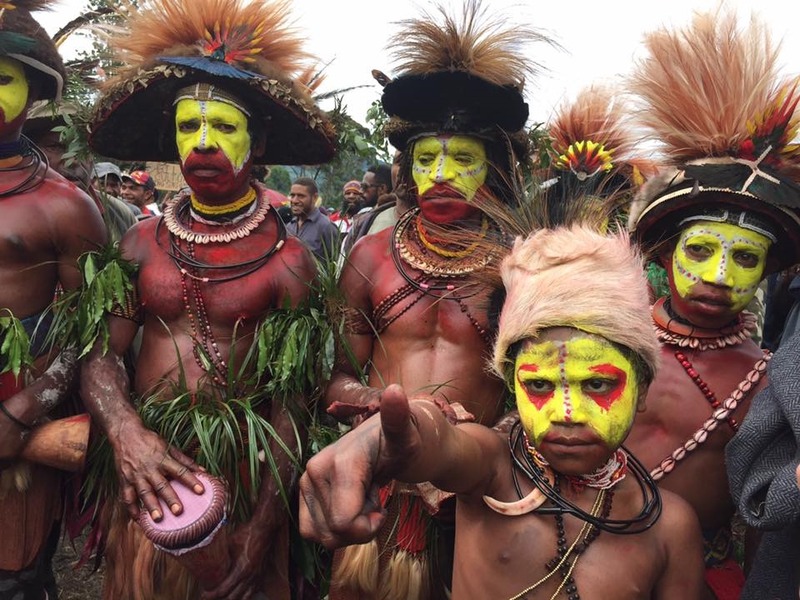 The tribes and clans in Papua New Guinea still operate on foundation of offerings of pigs and tribal war rules. 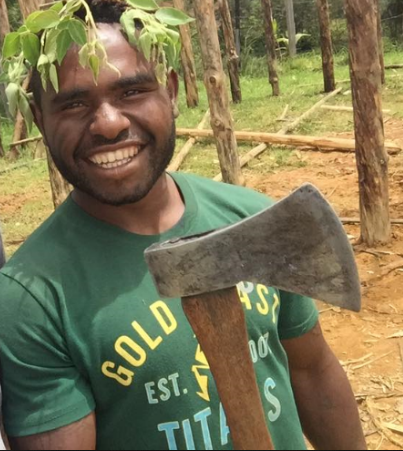 We stayed with a tribe that was very peaceful, loving, and trusting. They worried about our health and safety at all times and made sure we had plenty of villagers to be with us. 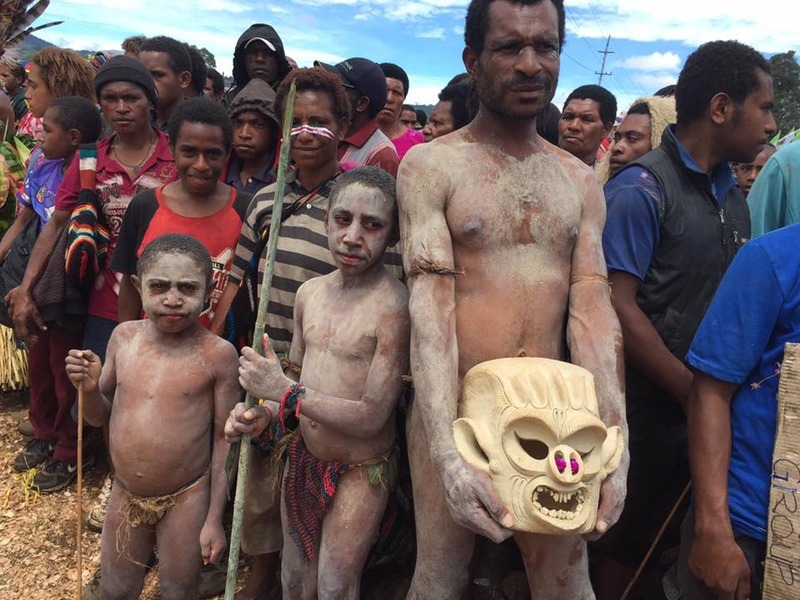 At a funeral the mother’s tribe traditionally puts mud on their bodies and adds ferns to the waist line. Marriage is very frequently across tribal lines which create alliances and offerings that create stronger bonds in the community. A bride price could easily be dozens and dozens of pigs. Colorful rainbow umbrellas are popular among the villagers. 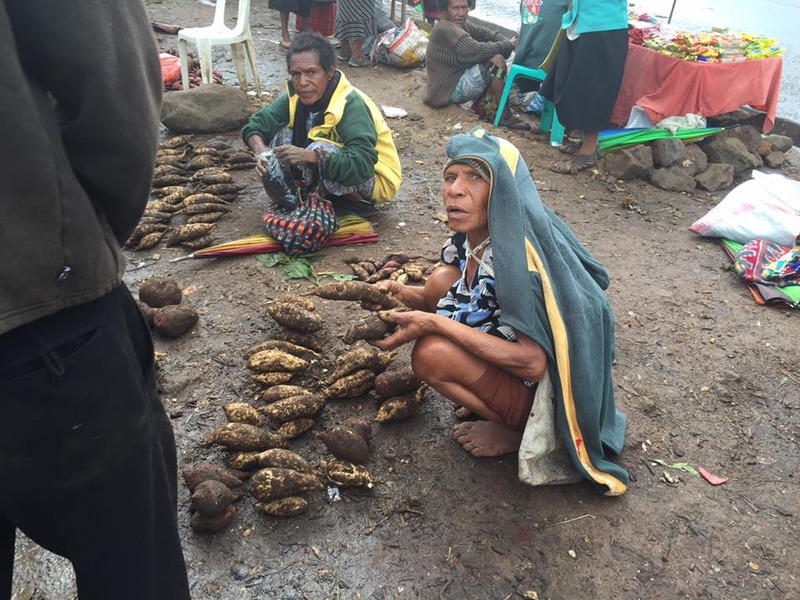 The people sometimes look Mauri, native Australian, they love their beatlenut which is another form of currency. Shoes are optional. Don’t get me wrong. These are some of the happiest peaceful people on the planet. They live off the land. I wouldn’t call them poor, as they have some of the most beautiful land in the world, and they have fruit on the trees and yams and sweet potatoes in the ground. With a few pigs for trade, they are doing great. The family, tribe and clan bonds go very very deep. The wealth of the tribe contributes to the wealth of the individual and visa versa It is commune style living. 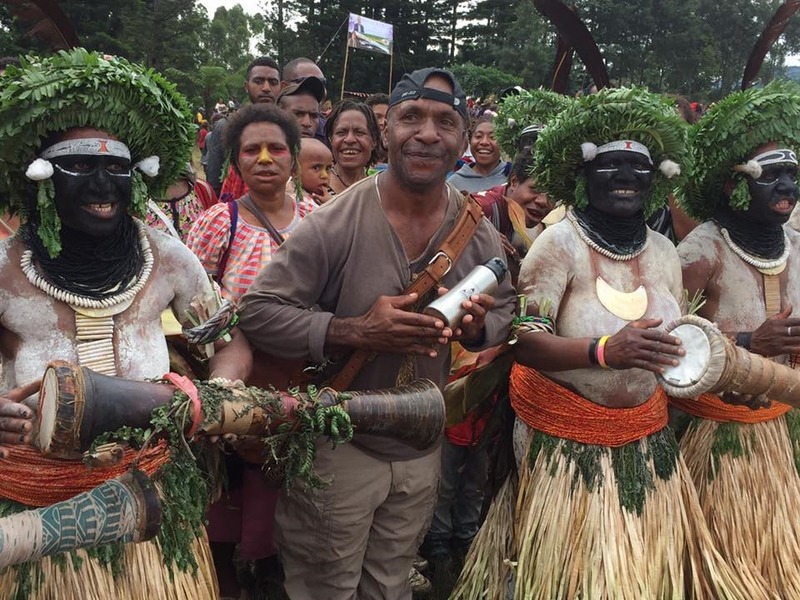 We saw a sing sing in action as tribes from across the island gathered in Mt Hagen in anticipation of the Prime Minister of PNG. 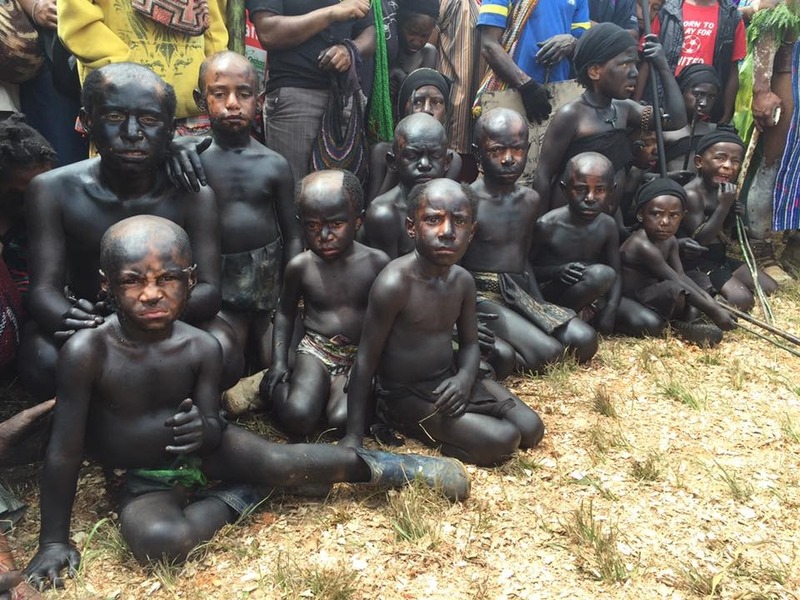 You can identify a tribe based on their paint and look. 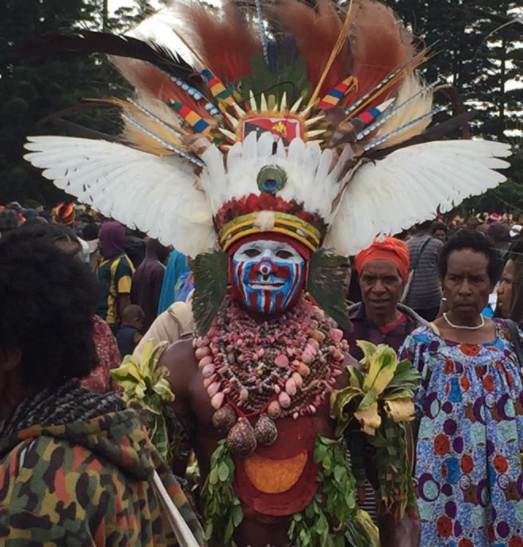 These tribesmen are from Mt Hagen. Their beautiful features are some times from endangered birds so that creates controversy, but these guys don’t seem too concerned. There is a hierarchy of needs. Some of the war paint is definitely designed to look scary. Shaving the heads down the middle too. Yikes. I love how the kids get into the tribal dancing too. Traditions being passed on. 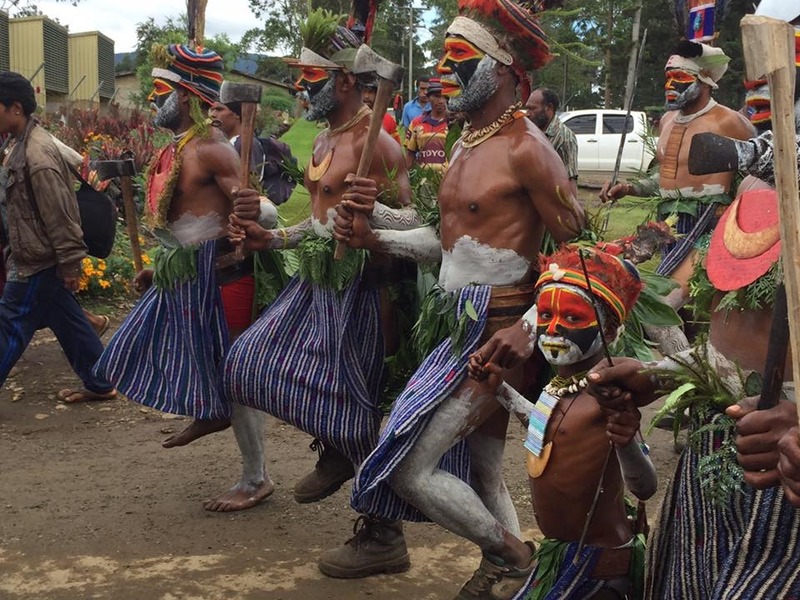 I have to imagine the tribes are in different stages of living off the land or embracing western society, but it is great to see them coming together to sing and dance. There is one serious thing the tribes and clans still need help fixing. It is the tribal to modern warfare. It was a great education to see how problems would have been settled in the past. I’ve heard even in the capital some Enga people still don’t trust the judges to settle issues if they feel marginalized and wronged. 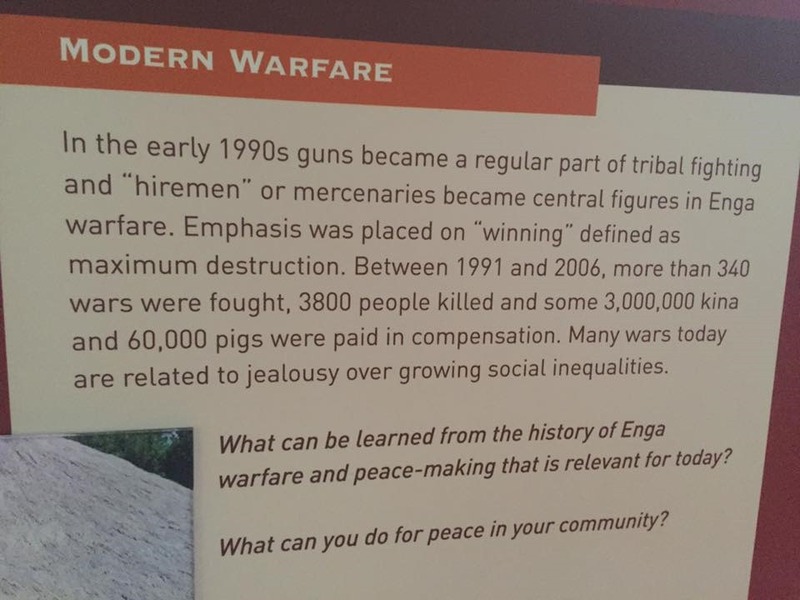 Enga is still known to have tribal fighting. This is a clip from the museum in Wagga. 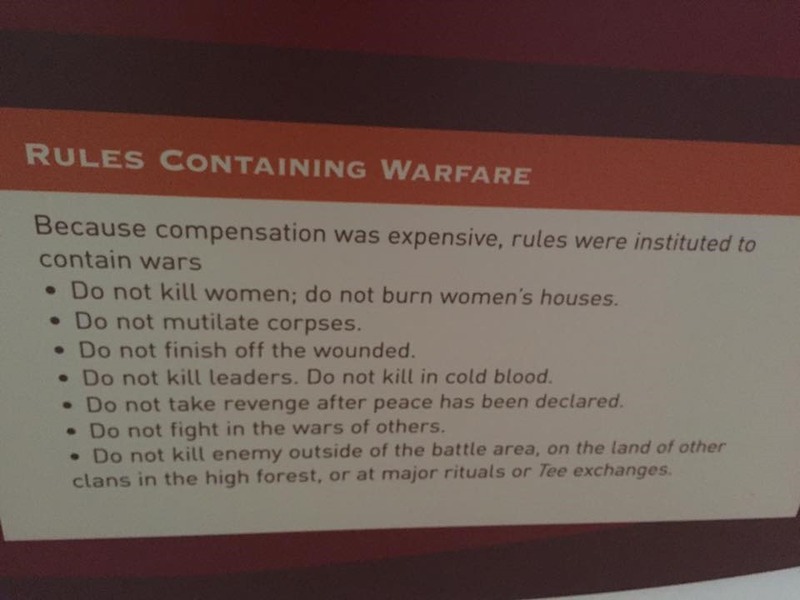 The tribe where we stayed has not been involved in a war since the mid 90s. They have decided it is better to pay the bigs and kina than retaliate. 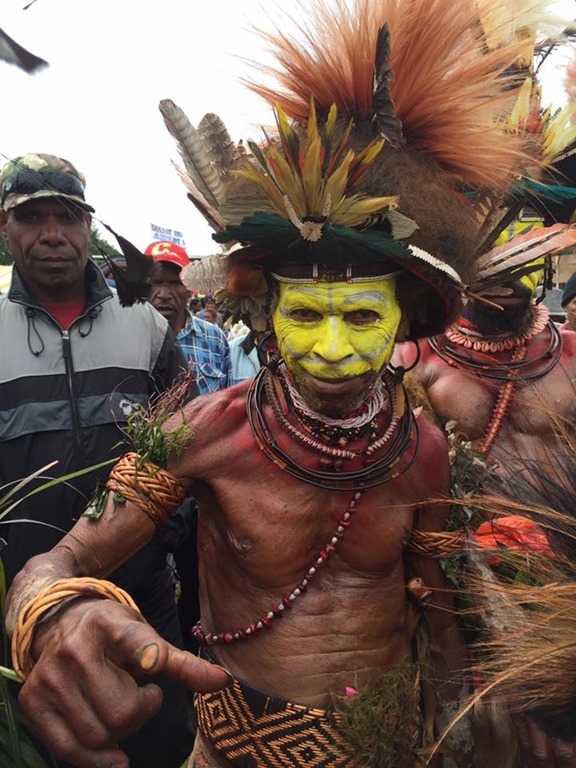 The tribal warfare goes back many many years, but it has become more dangerous due to the escalation in weapons. All tribes have weapons including bows and arrows, how most of the wars start. 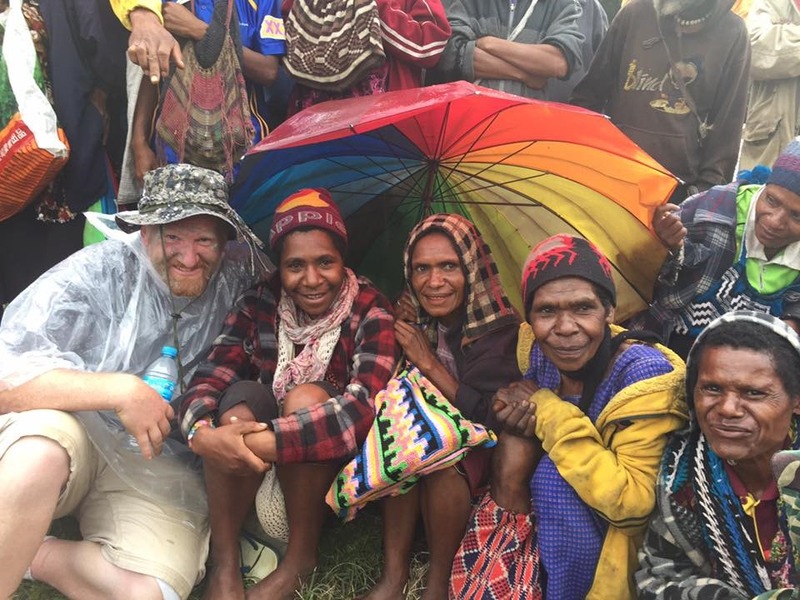 We did visit a tribe where their huts and buildings had been burned to the ground. It was sad to see, but they were happily rebuilding. Left: Rebuilting their houses and huts. Right: Traditional look of the tribes we were visiting. 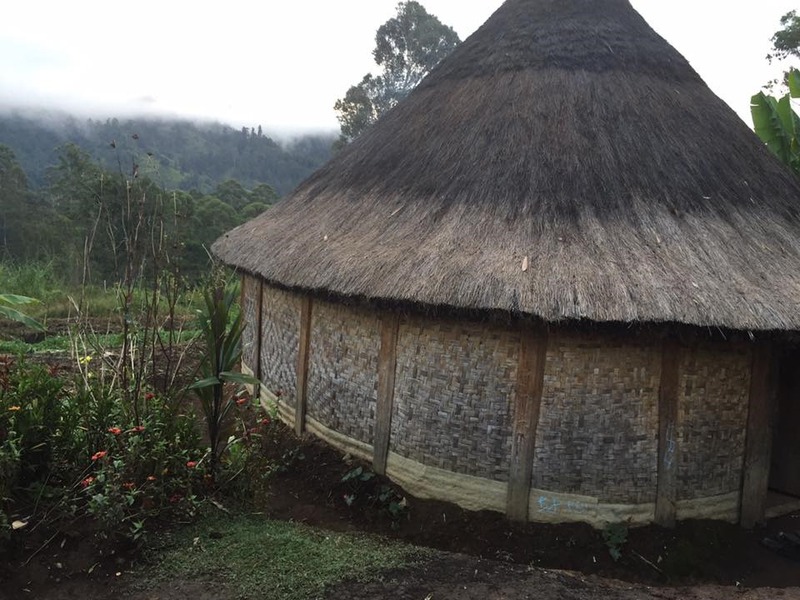 We spent one night in this hut. It was Felix’s Uncle’s house. We all slept in one big room on the elevated floor on mats around a fire in the middle. 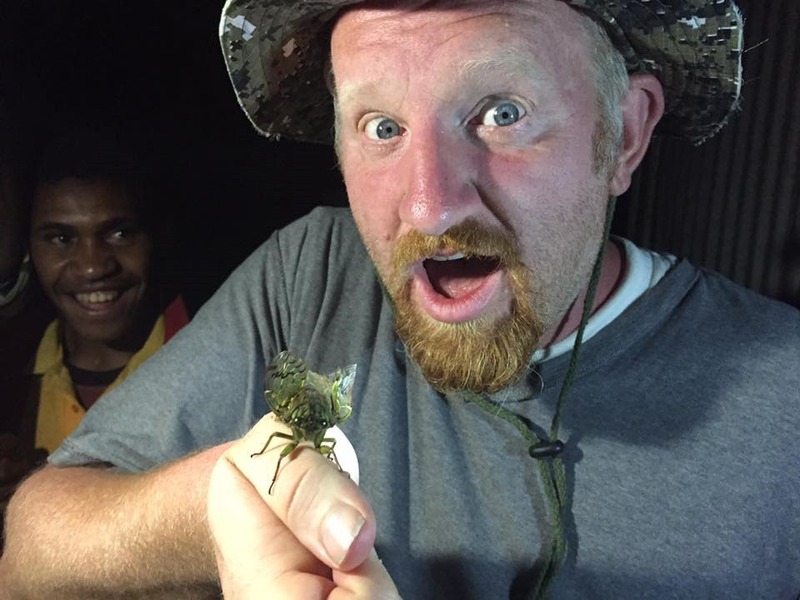 On our last night the kids caught a cecada massive flying bug, and asked us to eat it. Saki explained that’s what they use to eat and they still did. He popped one in his mouth. They found another and another and before long I was crunching down on what I can only describe as a cream puff taste. Michael thought it tasted like peanut better. Youtube video: The kids brought me a treat! A large Cicada, of course I’d give it a try…. 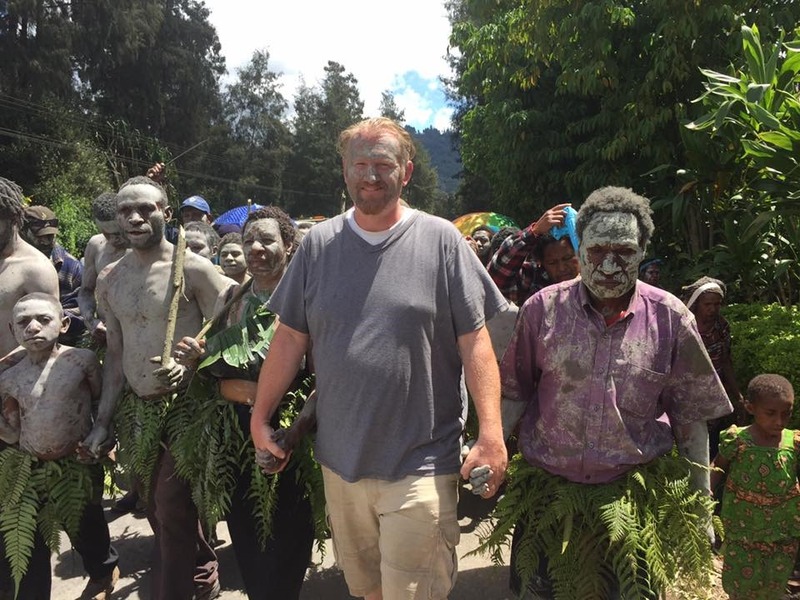 I’d love for you to see some video as well… go to my Joel Oleson Travel Youtube Channel Papua New Guinea Tribal Playlist and visit these videos be sure to like and subscribe! How did you communicated with these peoples? 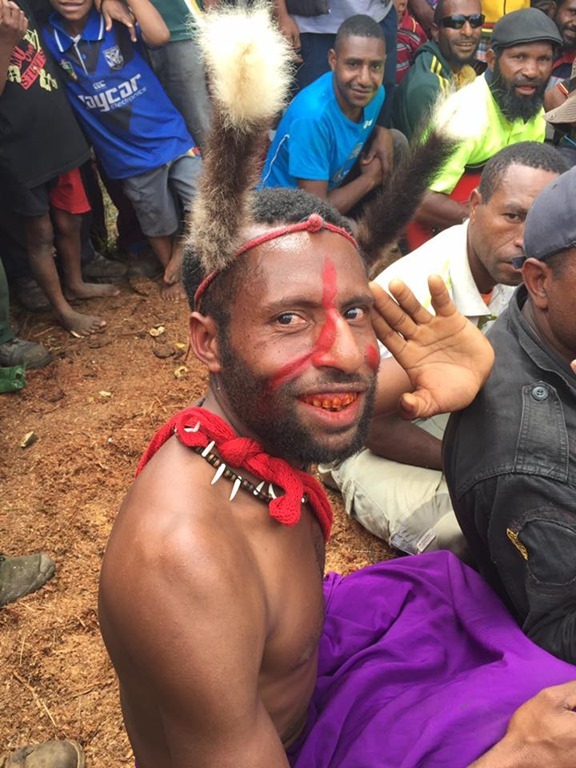 The tribal chief was trained in english. So we communicated in English.